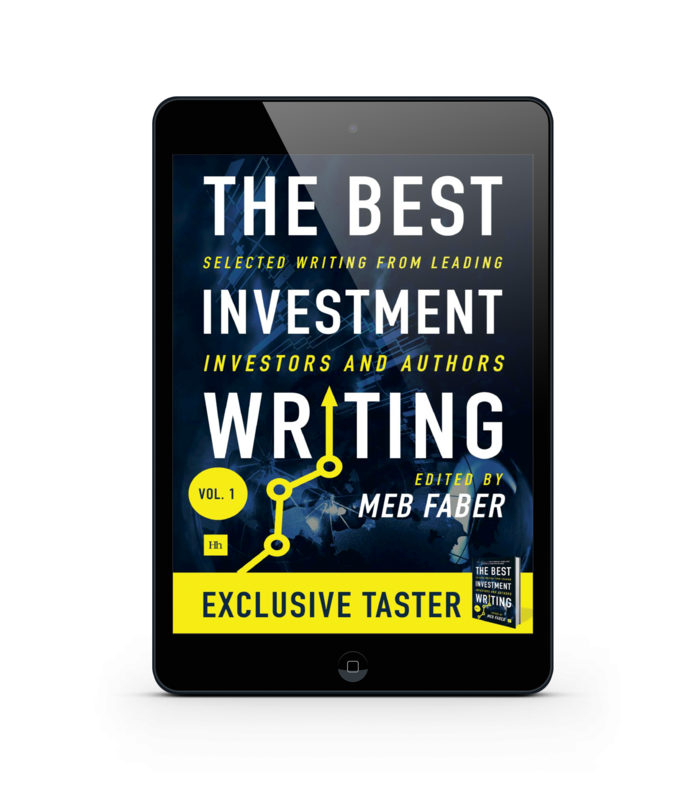 Get yout exclusive FREE extract from The Best Investment Writing Vol 1, which includes contributions from: Meb Faber, Jason Zweig, Aswath Damodaran, Josh Brown and Charlie Bilello. By entering your email address in order to download the PDF sample of The Best Investment Writing you are agreeing that you are happy to be contacted by email by Harriman House Ltd, the publisher of The Best Investment Writing. Harriman House will not share your email address with any third party and you can unsubscribe at any time.